Terrible acting, nonsensical plot, blatant ripoffs of much better films, and some brother-on-sister action are just a few of the things that makes this the must-watch film of the Halloween season. There’s no better film to kick off our 2017 Halloween series. Enjoy! 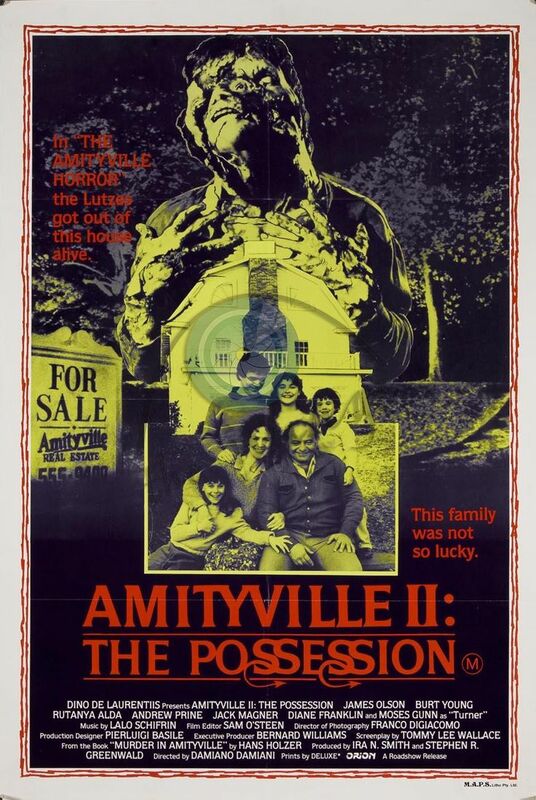 This entry was posted in and tagged Amityville, Horror, podcast, possession. Bookmark the permalink. Just watched this again on TV recently. Super fun review. Looking forward to more October goodness. So what did they cut for TV? Or was it cable or something? Next up is Night of the Demons (1988)! Haha, I understand. To be fair, as I hope we pointed out in the review, there are lots of reasons to enjoy this movie. I think if I had experienced it back in its original context, in the 80s when I was a kid watching these things, it’s the kind of movie I would be nostalgic for. It’s a piece of work for sure. Thanks for listening!